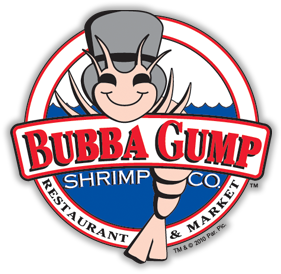 MENU | Bubba Gump Shrimp Co.
Food is the hero at Bubba Gump Shrimp Co! Shrimp is of course our specialty and we serve it up in over 20 different ways! But there’s something for everyone on the menu including comfort food from the American South, steaks and grills, ribs, crisp salads, fun children’s meals and decadent desserts. Our dishes are freshly prepared by our team of talented chefs and our shrimp is sustainably and ethically sourced, certified by the Aquaculture Stewardship Council.